There are so many options of things we could have chosen for this weeks block, but it was Bobbi’s turn and she chose spools of thread! Her pattern (found here) is so much fun and easy; its a lot of pieces but I think you will enjoy it. 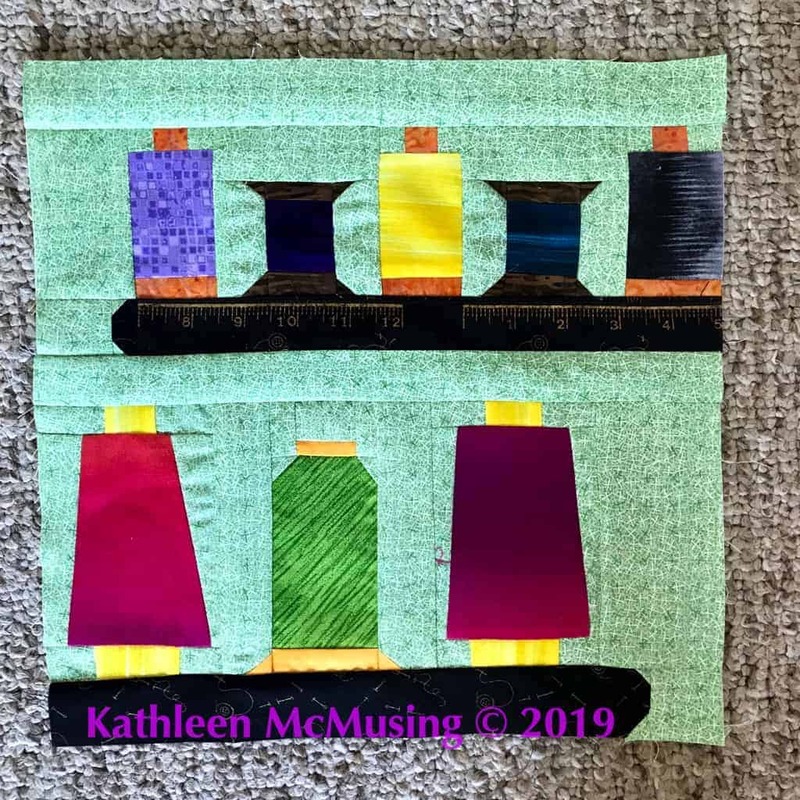 I had fun picking the pieces for the thread….fabrics that I loved…many that reflect the thread wound on the spool. Hint #1: How many kinds of thread spools are there? 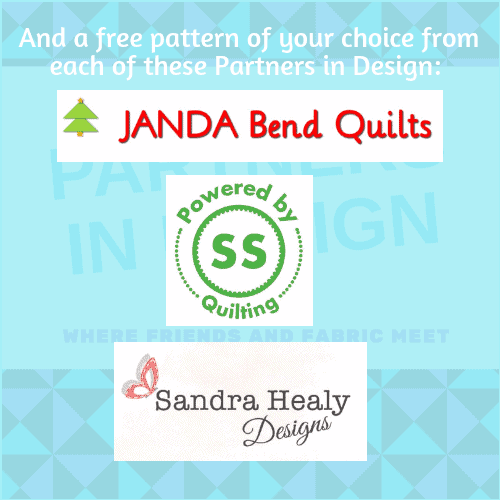 This will help you with fabric selection. 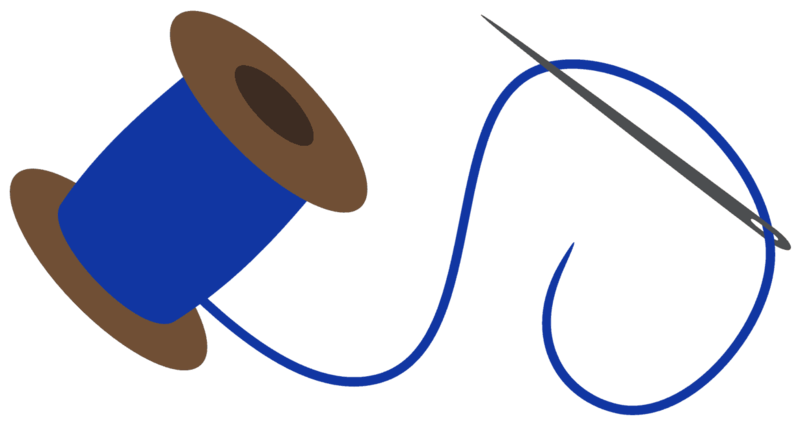 There are threads for domestic and long arms, threads on wooden spools or pre-wound bobbins, threads that range from 12 wt to 100 wt. Spools can be orange, white, yellow, green, purple, black – to name some of the colors I have in my collection. So my advice to you is think about what kind of spool of thread you want to display. I choose Aurifil orange small and large 50 wt, wooden spools, and an Aurifil 40 wt, 3 ply on the yellow spool. Hint #2: Label your pieces. We keep telling you this. 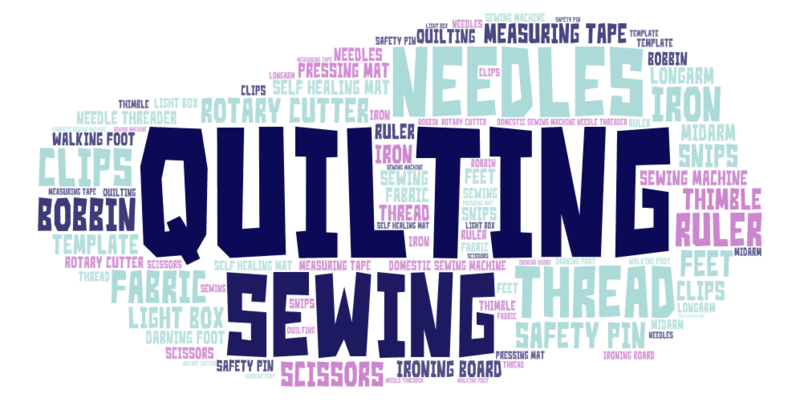 Bobbi’s pattern has a great checklist for her cutting, but do label. Often, we ignore our own instructions, but please do it. There area a lot of pieces that are similar in size. Hints #3: Make it work! I found this sewing fabric I used for my shelf. I loved it and it had a ruler in the selvage but I couldn’t piece it. 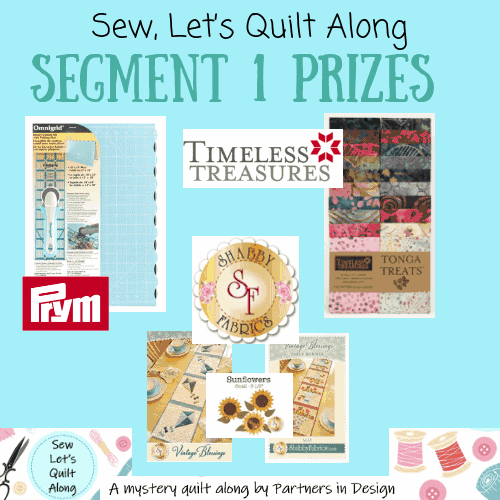 What is a quilter to do??? 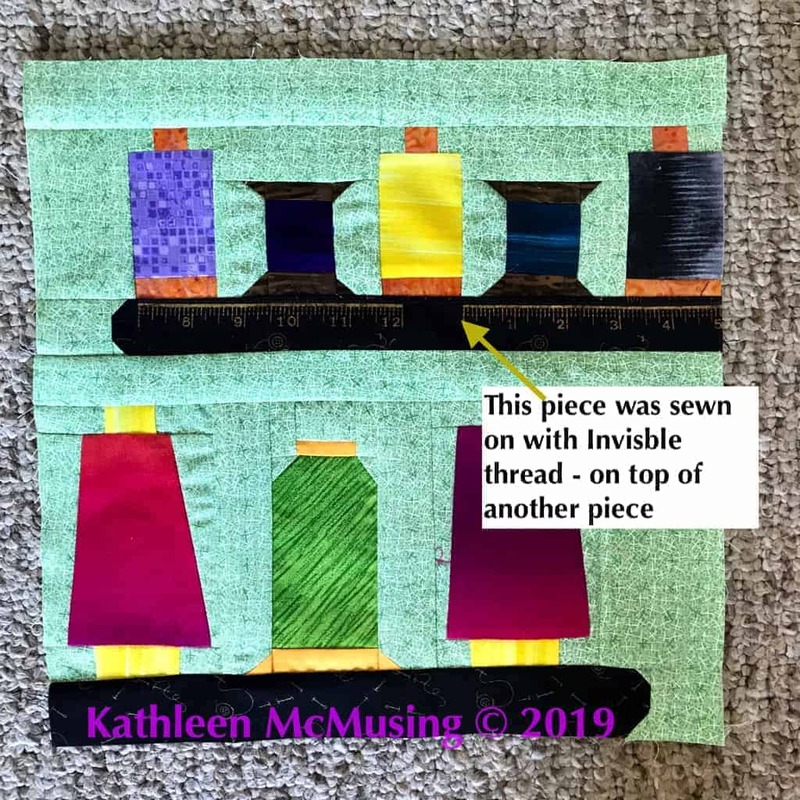 I pieced the shelf to the spools and realized I could sew the selvage on top of the bottom piece and secure with invisible thread so the selvedge edge is secured, the remainder of the fabric is in the next seam. It worked like a charm! Here are my blocks all together at this point. I have one more to do as well as commit to a project for this segment. 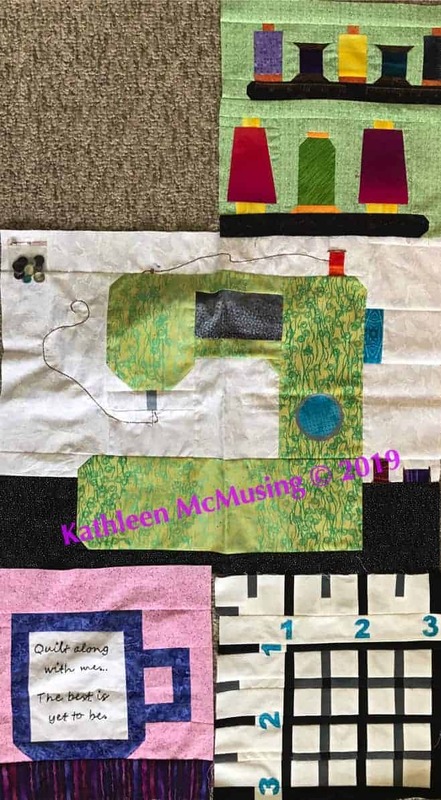 I am leaning two ways….either a wall hanging or a sewing machine cover for my new machine for my new Handi Quilter Simply Sixteen (still waiting on a delivery date). We are getting so close to the first 5 blocks being done and the first small projects to appear.